This past week was a rather exciting one! We got the privilege of going to Gainesville to do an exchange with some elders there. For morning exercise we ran bleachers at the UF stadium known as “The Swamp.” Not gonna lie, I almost threw up. After racing the other elders up the entire bleachers I was finished. My legs were wobbling for the next hour. It was a pretty fun little trip. We took some bikes there for some sisters too who had ordered them, and put them together for them before dropping it off at there place. During all the road-tripping I kept my hands busy by working on making a satchel out of paracord. I am making up the design as I go and beside a few hick-ups it is coming along rather nicely. Stay tuned for the final product. I don’t have much time, but I want to share a wonderful lesson that I learned this week. I will call it the principle of “Just Do It.” I am amazed at the false philosophy taught by the world that we are a product of our environment. It never ceases to amaze how prevalent this way of thinking is in modern thinking. However, to show the world that this is not true, I will share a simple example of how I applied this principle. While I do consider myself to be a fairly positive person that does not change the fact that in the world we live in, it is very easy to be negative. All it take is to watch the news for a week and you have enough material to be negative about politics, the economy, religion, and society for a month! Sadly many people get caught up in all that. Even in missionary work, while we are surrounded by endless miracles, and endless reasons to praise God and be grateful, there is also negative. Sometimes I find myself getting frustrated at the sight of some missionaries who I know have the potential to be so much more than they are, yet they chose to live far below their privileges. Such were the feelings that enveloped my heart and mind for a middle part of the week last week, which culminated in a vent session that left me emotionally and spiritually drained. It was at that point that I realized that I am benefited in no way by endlessly speaking of negative things. My companion and I made a pack that we would be the most positive set of people in any given room at any given time, mostly because God has given us every reason to be. Just like that, in a brief moment, I as a person changed. It wasn’t too dramatic, but it was enough to dramatically change my outlook on life. From this simple example I learned a few lesson that I hope to share with you at this time. The first is this, that at any given moment in your life, you are presented the opportunity because of our Savior Jesus Christ to change. You can this very instance decided to be a better person. The only thing stopping you is yourself. The second lesson I learned or relearned rather, was to be grateful for the fact that God lets us fail. He let me slip and fall onto that negative slippery slop for a day, allowing me the opportunity to learn a valuable life lesson. I am grateful that God managed to teach me that powerful lesson in such a short time because as far as I know I am not suffering any lasting consequences from that day haha. I will conclude my letter with my testimony which is embodied in a scripture from the Book of Mormon. “… And thus we see that by small means the Lord can bring about great things.” (1 Nephi 16:29) I love this work and I love my God. I am grateful the small moments of weakness in my life that allow me the opportunity to learn valuable life lessons. That all of you will take advantage of those same opportunities is my prayer, in the name of Jesus Christ. Amen. I love Ya’ll!! Have a blessed week! This entry was posted in Joshua and tagged 1 Nephi 16:29, Book of Mormon, example, Jesus Christ, just do it, LDS, Miracles, Missionaries, Mormon, negativity, positivity, principles of the gospel by shalesecordon9. Bookmark the permalink. 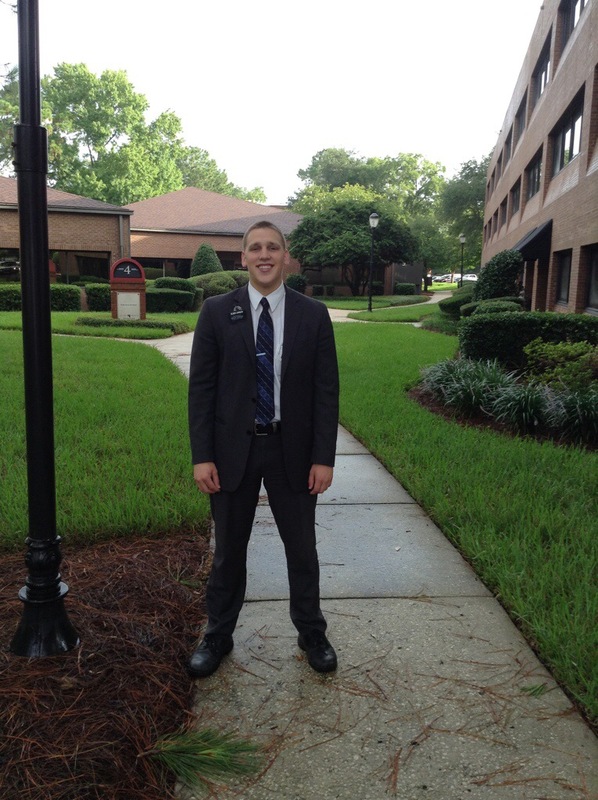 It is so Awesome to see how the Lord works in the lives of other missionaries!